I'm currently using RGC to record my fights on Fight Night Champion. Long story short; the fights are about 25 minutes long if they play out a full 10 rounds. I love the option to upload to youtube straight from the editing software, but it only allows for 10 minute videos. I don't want to use 3 videos for one fight. I post my fights on a forum, and very few people want a thread with three videos embedded. So my problem is that I need to export 15 minute clips from the editing software WITHOUT LOSING ANY QUALITY so that I can upload straight to youtubes site, which allows videos of 15 minutes or less. You know that your account on YT can be automatically updated for videos larger than 15mns? 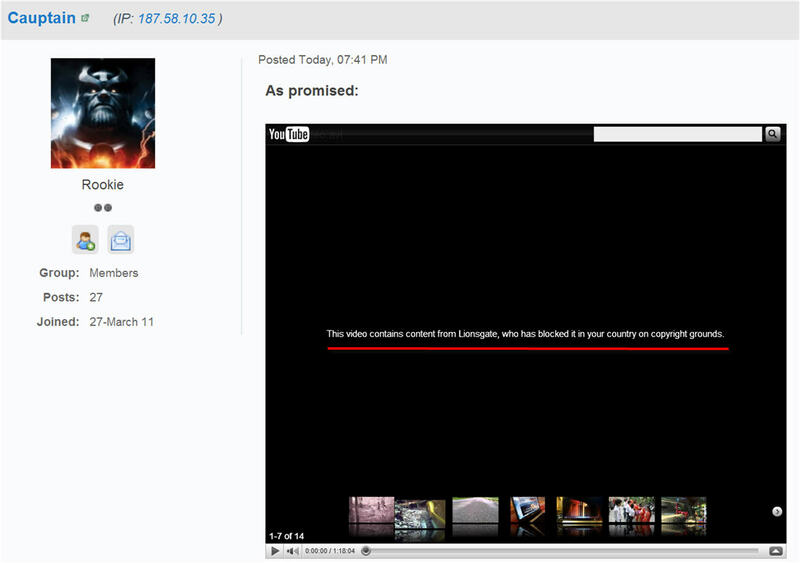 But the videos can be sent directly by the YT page. Try sending a 5 movies with over 15 mns and see if your account is updated. Output your video editing for AVI using the codec UT VIDEO CODEC(YUV4.2.2) in 848x480 resolution (no black bars) + Audio uncompressed (48khz). After this, convert using your favorite software to MP4(X264/H264 Codec with 4096 bitrate) + audio (AAC 128 bitrate) the most used encode video for high quality image on YT. I'll check back for more info as I'm sure I'll have more questions. 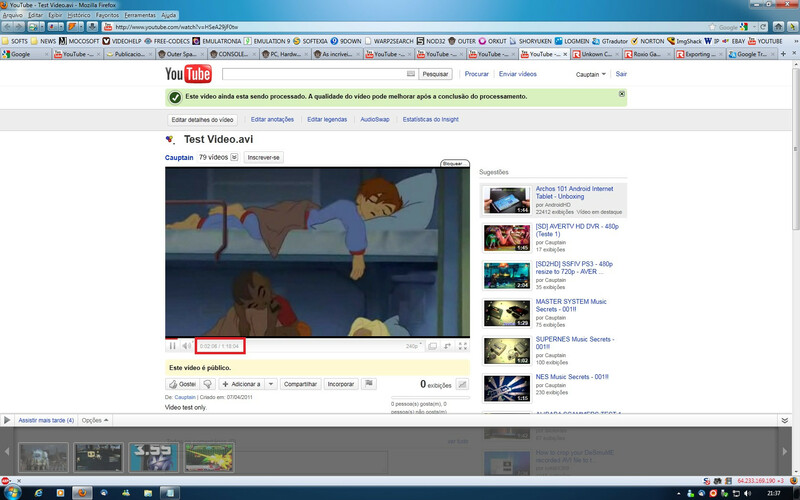 I am not seeing the codec UT VIDEO CODEC(YUV4.2.2). The closest I have to that is Intel IYUV codec (i420) and Intel IYUV codec (iyuv). I'm sorry if I'm totally clueless, but I really want to learn how to do this. Also, the closest resolution I could use was 800 x 450 . And I have no clue how to get my YT account to allow me to do that. And how in the world did you get your videos in hd? Game Capture only allows 480, right? Only export in 720x480. Use the RIPBOT264 to encode for MP4. If not allowed to post photos of free software, I edit the text without any problem. ROXIO no responsibility for the use of thirdy softwares. The person answering your questions does not have the Roxio program or the capture device so I would question some of the information he presents. A couple of days ago he said that he ordered the program but does not yet have it. If he has this quickly, it it may be an illegal Bit Torrent version. He does that frequently. Do not worry about the codecs; everything you need for codecs is included in the program. Adding more may be an issue; it has been in the past when the added codecs superseded the ones in the program and screwed everything up. I believe that the sales blurb says capture and output in HD - I'm not sure what that means -exactly. Here are the Kb articles on the program..
As with a lot of sales blurbs, they do not give you all the full information the way you want it. I don't believe that any of the frequent posters have this program yet. Read this about resolution for the PS3. The person relying to your questions uses a different capture card and ?? for a program. He may have a lot of experience in game capture but I don't think he has any information on this particular product. Please take his postings with a grain of salt. Thanks. I'll keep that in mind. And I'm not having a problem capturing quality video, I'm having a problem uploading more than 10 minute clips to YT. It seems that no matter what, when I export the clip it loses quality or is WAYYY too large of a file for youtube. I really just want to know how to export clips WITHOUT losing ANY quality, so that I can upload 15 minute clips to YT. Uploading straight from the software is working great, and I lose no quality, HOWEVER, three videos for a 10 round fight IS NOT what I want to have to do. SOMEONE PLEASE HELP. Also, I'm capturing in AVI because I heard that gives you the best quality. yes, AVI does give you best quality but the files are very large. YouTube changes the format to what they use. Have you looked at the help files on You Tube. Check to see if there is an or in what you can upload It may be time or file size related. From You Tube " smaller than 2GB in size, in an acceptable file format, and less than 15 minutes unless you have permission to upload videos of unlimited duration. How large are the files you are trying to upload? Did you read this? or this about advanced upload? Actually your best bet is to contact You Tube for help since that is where you are having issues. It is not a Roxio issue. Only if ROXIO uses "alien technology". I said is work for any capture program. Keep in mind it if uses Windows Drivers, works with any capture program. And not. I don´t download this program via Torrent. I waiting for my RGC hardware only, not software because its a very limited for my capture videos. So far I don´t have any information about the RGC, but since it does not use "alien technology", I can say the usage is equal to any PCI/PCI-e/USB Capture Card 480p. Wise words: A grain of salt (me) weighs more than a grain of...nothing answers(you)... Correct? JRed my YT account can send 1h30 per video. Most of my videos (95%) are HDTV-720p. Boost you send videos and wait to be promoted. Ah, you are assuming that it uses the Windows built in drivers for the video capture device. I don't have it but there are specific drivers for the device that must be loaded once the connections are made. The rpoper codecs are part of that driver set up. Read or watch the videos before you give opinions on the program and capture device, other codecs, etc. I'm not an expert on You Tube but all you said was that you could do it. Please tell the OP how you get 1 hours and 30 minutes on one video. The ones you have are pretty short. Please let us see one of the longer ones. In 2 hours return this topic for see ok? Use any proxy website for look 1h18m in my account. Use proxy site and ready. Simple. My YT account Have upload videos "2hours" I believe. JRed If you want to upload to YT with great quality, I suggest using the RIPBOT264 with above configs. 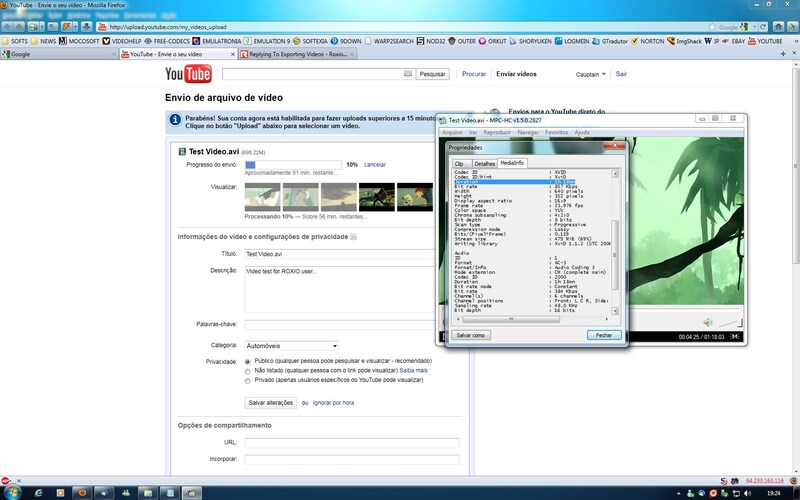 If you want to be "Partner YT uploader" send many videos in HD (720p) only. Any question offtopic will be ignored by me. Okay guys, I really appreciate the feedback. Now, maybe I'm not knowledgeable enough to explain my exact problem? You see, you tube is not my problem; at all. I have no problem meeting the 2GB and 15 minute upload time. My problem is this: I can capture video with no problem. I play in hd, but it only captures in 480P. Which is fine by me. I would love to have hd, but I knew that wasn't happening when I bought this software/hardware. My problem comes when I go to edit and share. I've been capturing around 2 hours at a time in avi. Now, an average fight for FNC takes about 20-30 minutes REAL TIME. So when I go to make two 10-15 minutes clips and export, I'm losing video quality. I believe it's because the video is being compressed? I don't know. I just want to be able to make 10-15 minute clips from my 2 hrs of cap video, then upload directly to YT. When I upload to YT using the Roxio software, IT ONLY ALLOWS 10 MINUTE CLIPS. When I've uploaded straight from the roxio software, the quality on youtube is fine. But anytime I export the video into 15 minute clips, I either lose video quality or it takes upwards of 180+ minutes to upload a video. Not cool. Again, thanks for the suggestions guys. I really appreciate the help. And Claudio; I really do not want to download any torrent software or pirated software or whatever. I would like to stick with freeware if possible. All software I use are freeware, I do not use any pirated software. Skins said that. RIPBOT264 Freeware, Virtualdub Freeware, Avisynth Freeware, Ut Video Codec Freeware, VH Capture Freeware...Only FREEWARE tools. For BEST quality on YOUTUBE encode using RIPBOT264...Remember RIPBOT264 for HIGH QUALITY videos only. I removed the 1h YT video because infringe the rules in some countries. Any questions about this, reply for PM only. Does it matter that my video capture hardware is only capturing in 480P? Have you set it that way or is that all you can get from your game console and TV? To summarize the issue. You can capture your fights which last about 25 minutes. You can use Video Wave to cut them in two, delete the second half and when you upload to YouTube it will only take 10 minutes of the approximately 15 minute video. The upload from Video Wave works OK and the video is of acceptable quality. When you try to upload a video file, are you getting any kind of an error message or does it just stop? Does it upload but then you can see only 10 minutes of the 15 minutes. How are you determining the size (mb) of the video file? Do you have a internet provider who is throttling your service at certain times of the day? Have you tried to upload to YouTube very early or very late where their site is not as busy. I will have to defer to some other user/poster (not Cauptain) to see if someone else is have a problem uploading a 15 minute video direct from the Video Wave program. I'll see if I can get someone from Roxio aware of the issue. My recommendation would be to output each half of the video to a format that YouTube accepts and upload using the YouTube uploader until this is figured out or until another poster indicates that it works for him. Thanks for your patience. 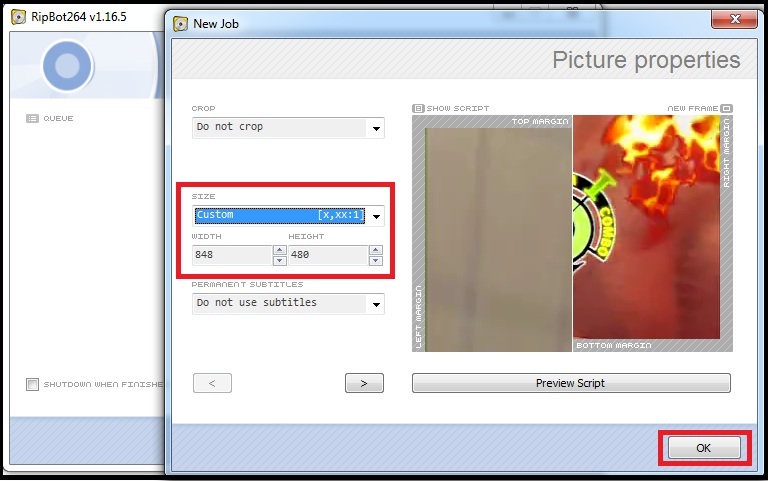 You can capture at 480p and use Avisynth scripts to do this. Now I'm working and I can not help you at 100%. If you can wait, tonight I'll post here all you need to get your video in 720p with great quality. Cauptain, The purpose of the Roxio forums (paid for by Roxio) is to help people use the programs correctly and to suggest fixes when necessary. You keep making suggestions that are not related to the software and potentially screwing up their computer. There are probably several forums that are available for people to go to to learn what you are talking about. Why don't you post a link to the forum where you post and that you like. That forum should not be sponsored by a company that makes completing software or hardware. I'd send him via PM, I know can not post anything here about other softwares. Just answered his question, without posting any software. "I know can not post anything here about other softwares." If you know this then why do you do it? Cauptain, show me where you told the original poster how to solve his problem using Roxio Game Capture. Yes, I would very much like a resolution to this problem without having to download any other software.